Heavy rainfall in spring built up water reserves with higher than average temperatures in April prompting early growth. The summer was warm, ending with high temperatures and early harvest. 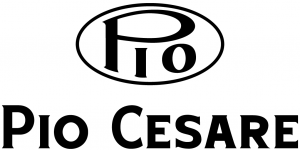 The 2011 Barbaresco Il Bricco is Pio Cesare’s top Barbaresco, and, as the name implies, emerges from the top of the family’s estate in Treiso. The Bricco also gets more barrique, although in recent years the malos have been done in steel rather than French oak, which gives the Bricco a greater element of classicism. Although less famous than either Barbaresco or Neive, Treiso is home to a number of stellar vineyards. The reality is that this fruit needs very little makeup. Powerful, rich and structured, the 2011 Bricco possesses explosive energy and firm tannins that need time to soften. A host of dark spice, iron, smoke, French oak and tobacco wrap around he intense finish.